Click here to see OTR Reviews. OTR Capital is an invoice factoring company providing small business funding for the trucking, construction, staffing and government contract industries. While it services all these sectors, it’s pretty clear that OTR’s specialty is freight factoring. They are one of several trucking factoring companies for owner-operators (hence the name OTR, “Over the Road”). But you may not have heard of OTR Capital, a relatively new entrant into the crowded Georgia invoice factoring scene (they also maintain an office in Denver, Colorado). While only being in business since 2011, they have employees who have worked throughout the factoring industry. Several of the employees have come over from Noble Transportation Group, a third-party logistics company primarily serving owner-operated trucking companies. This has apparently given them access to a substantial customer base. The company appears well-respected and senior management has plenty of experience. The company offers basic invoice factoring for small, medium and even large businesses to improve their cash flow and net working capital situations. Customers who bill for services on credit typically wait between 30 and 90 days for payment. This makes it difficult for many to operate effectively. None of the fees or rates that we were able to find seemed out of the norm. To get started factoring invoices with OTR, potential customers must fill out an online application to request factoring services. OTR requests pretty basic information such as the business type, state of incorporation and federal I.D. number. But they also want copies of several documents including Certificate of Insurance, the corporate formation document and authority certificate. OTR’s standard fuel advance form asks for information including the name of the carrier and carrier invoice number, broker’s name, dollar amount of the load and the advance request amount. And of course, which payment method you’ll be utilizing. The advances are paid through Comdata, Comcheck or Electronic Fund Source fuel card (EFS fleet card). Note that the standard fee for processing through Comcheck is substantially higher ($24 versus $15) per advance. But make sure you understand their terms. Fuel advances will be executed seven days a week between 8 a.m. and 8 p.m. OTR will require that any and all advanced loads are be factored by them, or they will hit you with a $200 fee. I can see their point about the obligation of factoring with OTR after a fuel advance but the $200 fee seems a bit steep. Also, the POD (Proof of Delivery) must be received within 48 hours of delivery or the invoices could be charged back. Finally, once a broker is factored through OTR all of the loads from that broker must be also factored by them. See our score on OTR Reviews. One thing we didn’t love was that we could not easily find factoring fees charged by OTR (if you do not use Noble). But this lack of transparency isn’t necessarily a bad thing. Many factoring companies are notorious for advertising a low teaser rate then hammering you with ancillary fees and charges. We see no evidence of that from OTR. There is no application fee or termination fee (if proper notice is given). We do like that OTC Capital offers both recourse and non recourse factoring. Non recourse factoring alleviates the credit risk from the account debtor (although other risks still remain). It is sometimes viewed as an insurance policy. Also, OTI’s non recourse factoring program does not involve reserves or hold-backs for clients. We also like that you do not need to factor all receivables with OTR, just the ones you choose. 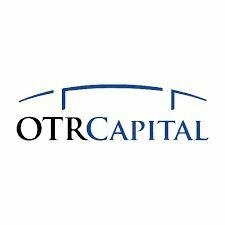 There seems to be very positive press surrounding OTR Capital. We found very few negative comments on OTR Factoring from the usual sources. Just as important was only a small amount of badmouthing on Glassdoor from former employees- nothing pertaining to their factoring services to customers. Disgruntled employees often provide the most negative information. One Google review mentioned a disagreement between OTR and a freight broker. There was also just one complaint with the BBB (which was resolved). These were dwarfed by positive comments. While the company is relatively young, they are not inexperienced by any means. Overall, their workforce seems on the younger side, which can be viewed in different ways. It typically means good energy but it can also show inexperience. When this is the case, the responsibility falls to management to make sure the team members are up to speed. It appears that they are at OTR. One team member who received her CAEF designation (Certified Account Executive in Factoring) which ensures that industry best practices are understood by the company. We can also see that the company is hiring for positions including sales underwriter and customer relations. This indicates that they are growing very quickly (492% over a 3-Year period).2 We would feel comfortable factoring receivables with OTR Capital, especially if you currently operate within Noble’s logistics support system. Read our OTR Reviews page here.